Your ceremony is an important part of your day, and despite the nerves and excitement, one that you hopefully will enjoy thoroughly. It should reflect who you are as a couple, and offer you a chance to express your love to each other in ways that are unique to your relationship. It is also the chance for you to share that unique bond with those who have gathered to celebrate with you. It can take a lot of time, energy, and thought to create a truly personal ceremony. There are so many details to consider! 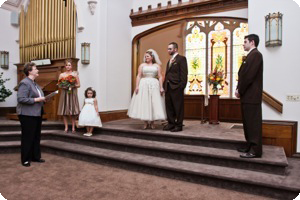 From your initial consultation to the ceremony recessional, I will work with you to create and plan a ceremony that represents who you are as a couple; we will make it unique, personalized, and memorable. 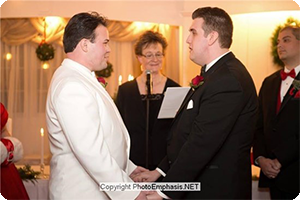 Whether you are looking for a spiritual, religious, secular, traditional, or alternative ceremony, I can help you to create an event that will meet all of your expectations. 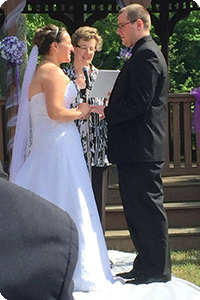 Let me be your Greater Rochester, NY wedding officiant and coordinate the wedding ceremony of your dreams. Please visit the other pages on this site for detailed information about my services.